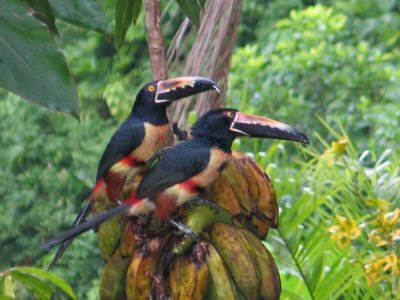 4 Days in Costa Rica Costa Rica Vacatoion Packages ......On this 4 day highlights package tour you will spend 4 days traveling through the beautiful areas of Monteverde and Arenal Volcano where we'll explore amazing cloud forests, waterfalls, nature reserves, local farms, wildlife, volcanoes, hot springs and waterfalls. 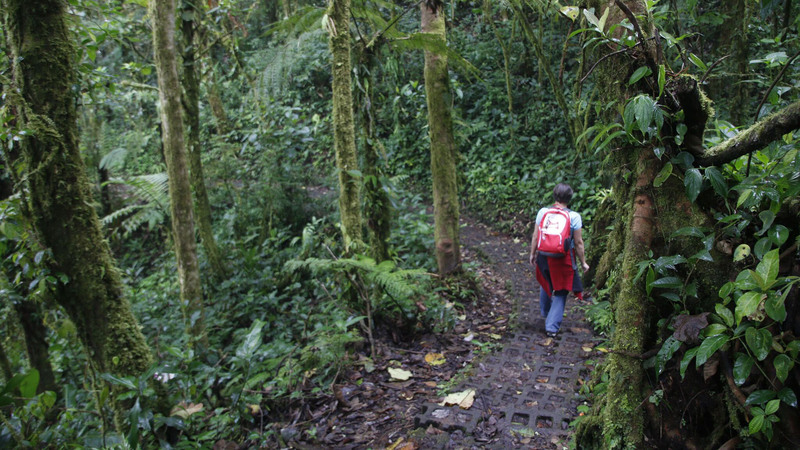 The 4 day highlight's package tour starts with a pick-up from San Jose or Liberia. Forget the worries about public buses and safety. Add a beach extension! Early Morning. Pick-up from your hotel in downtownSan Jose by shared shuttle transport, Or if coming from the airport or some Alajuela hotels, you may need to take a five minute taxi ride to Denny's Restaurant, to meet the shuttle.. For an extra cost we can upgrade to a private transport to pick up directly from any hotel and also from Liberia or other areas of Costa Rica. 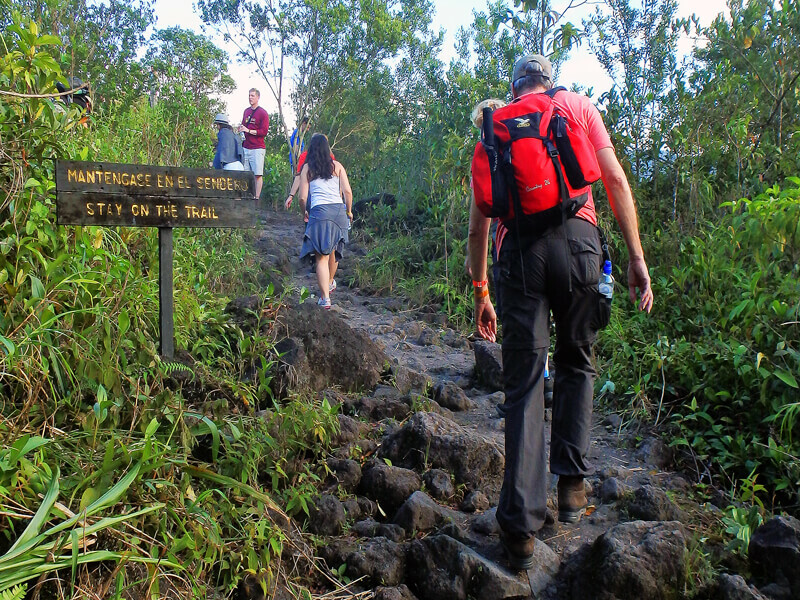 Enjoy the scenery as you make your ascent to the beautiful green mountains of Monteverde (4 hours). There will be a stop along the way for a bathroom stop and a snack. 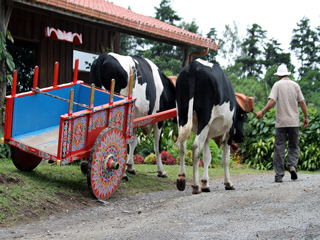 Coffee Tour: Picking coffee in Costa Rica has been a family tradition and on the Don Juan Coffee Tour you get to share one of the most interesting activities of the Costa Rican culture. Bilingual guides will explain the whole process of coffee production, from the plant to the cup. You will learn how coffee is grown and harvested and see germination beds, plantations, sun dryers, roasters and various machines involved in the process. Of course, the tour is not complete without tasting a delicious up of Monteverde coffee! The tour takes about 2 hours. 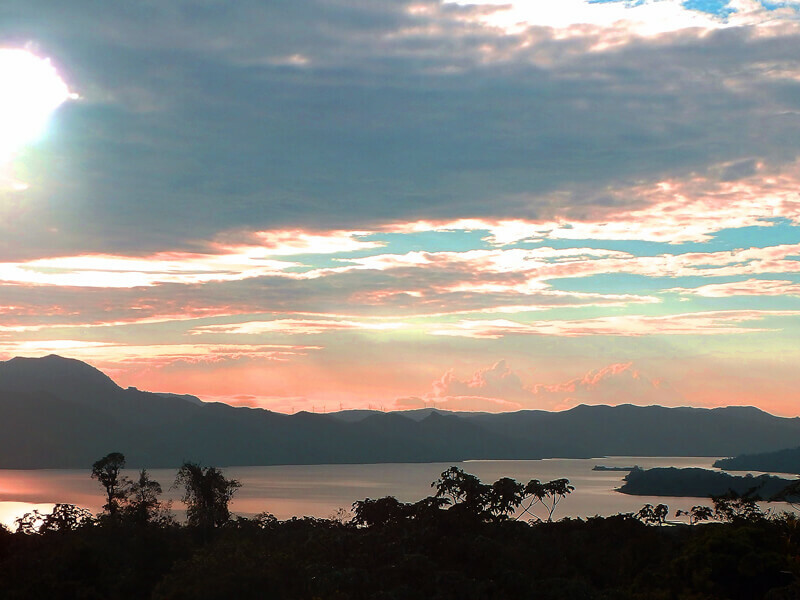 Enjoy the wonderful scenery of the Monteverde Zone. 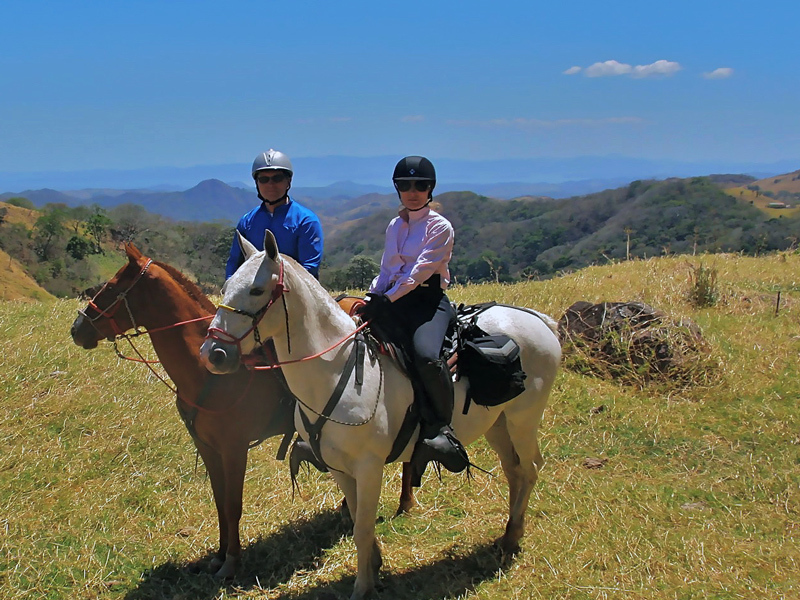 The ride will be along little used back roads passing by farms of coffee, sugar cane and bananas.The route offers open views of the surrounding countryside as well as the Gulf of Nicoya. This ride can be done at Sunset or any other time and is suitable for those with experience or not. Children's saddles and helmets are available. Rain ponchos (if necessary!) are provided. 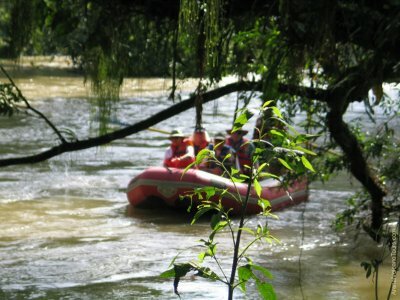 The ride is fully insured and only experienced guides are used. Early Evening. Night Hike Wildlife Refuge. A 2- hour, fun and informative hike with a bilingual guide, through a series of trails to observe the nightlife of a growing forest. The trails are well marked and easy to walk in the dusk’s failing light, yet rustic enough to remind you that you’re in a wilderness environment. The walk is generally flat, but there are some not-too-steep uphill and downhill sections. The type of wildlife you might see as day turns to night includes porcupines, toucans and other sleeping birds, owls, agoutis, coati mundis, snakes, walking sticks, tarantulas, katydids, and an array of other cool insects. Once it gets really dark you will hear the creatures that move around at night! Night at Hotel Rustic Lodge whenever possible. Small, charming bed and breakfast It is ideally located in residential area a few minutes walk from Santa Elena village in Monteverde, where hotels, stores and banks are located. Note hotels can be upgraded or changed with a price adjustment. Please contact us. Early Morning. 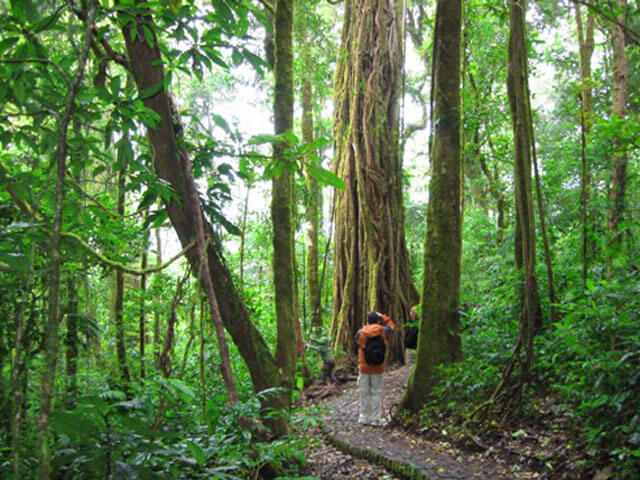 Hike the Monteverde Reserve. You'll be picked up at your hotel and taken to the park entrance where your bilingual guide will be waiting. 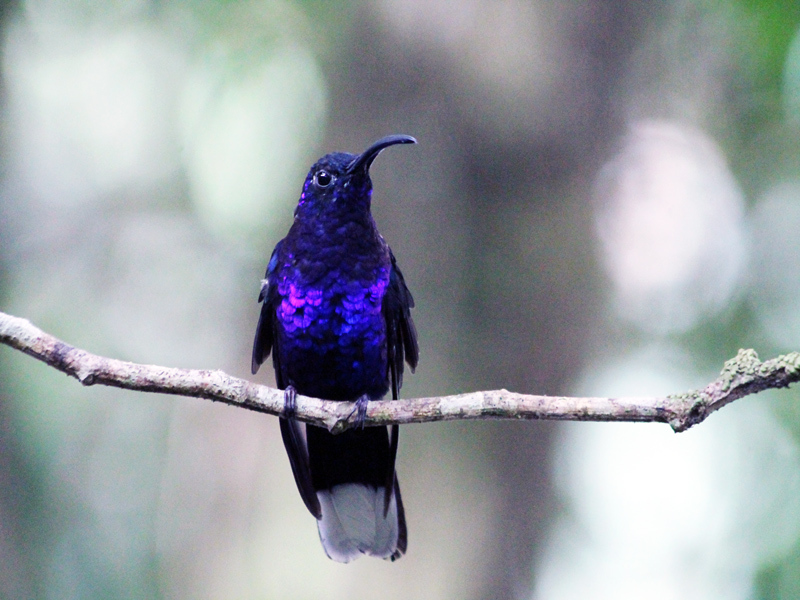 The guides at the Monteverde Reserve are some of the best in Costa Rica and they have a wealth of knowledge about the Monteverde Cloud Forest, it's fauna and flora, the history and the growth of Monteverde. You will go on a 3- hour hike around this wonderful forest. If you do not wish to do both tours you can choose one or the other. Afternon. Selvatura. In the afternoon you will have a chance to enjoy the forest from a whole different perspective, high in the canopy of the cloud forest. 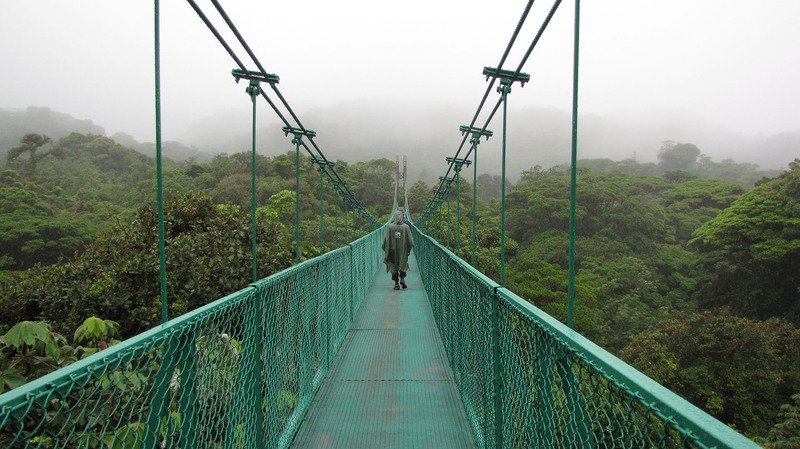 It is a private park located near the Santa Elena Cloud Forest in Monteverde where you can do the canopy tour, one of the most thrilling and safest adventures in Costa Rica . 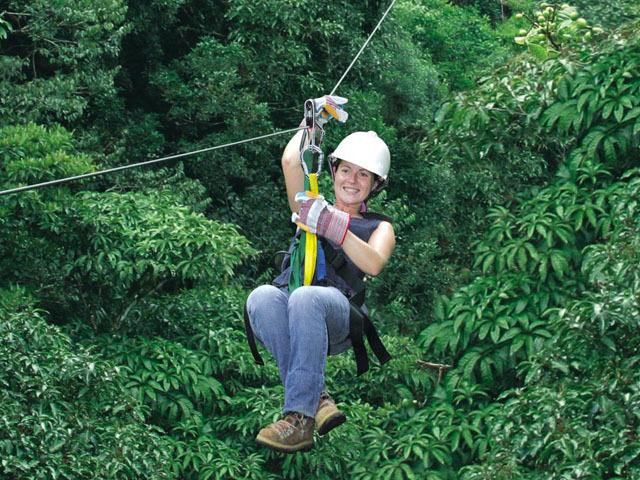 The canopy tour is entirely built inside virgin and secondary cloud forest with a total of 15 ziplines and 18 platforms. Plus one amazing (and optional) tarzan swing! Visitors will travel between 2 miles of cables attached by a secure harness and a maximum weight support pulleys plus other security gear to ensure safety. At all times guides will assist you on the tour. Tour takes 2.5 hours. Afterwards you can do a self-guided tour of the walkways which are a series of suspended bridges, high in the canopy of the rain forest connected by hiking trails that wind between the bridges. In total, these trails cover 3.3km. There are eight different bridges which have lengths and heights that vary between 50 to 170m long and 12 and 60m high.. Every bridge is 1.5m wide and has a capacity for 60 people. The hanging bridges are designed for people of every age and reasonable physical condition. The duration of the tour is usually about 1.5 hours. Afternoon. Skytram and Skytrek Monteverde. This great option consists of a tram (cable car) ride to get you all the way up to the ziplines with fantastic views of the cloud forests and surrounding countryside with plenty of time for extraordinary photos! 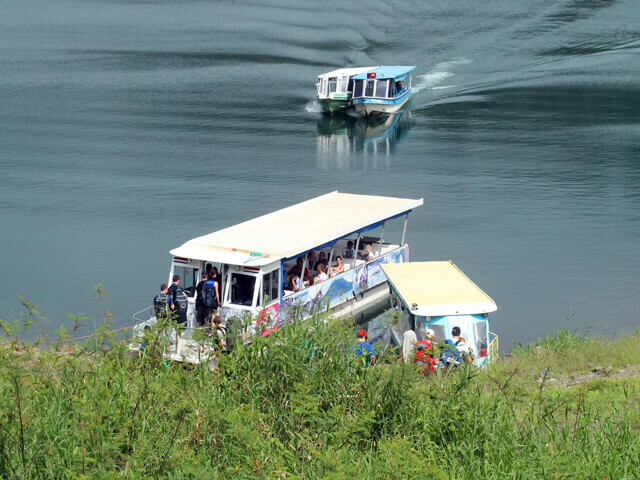 The cable car transport means you do little hiking to get up to and between the ziplines. This way you can concentrate on the thrills of the canopy without lugging your equipment from platform to platform like other canopy tours. The Skytram tour starts with an approximate pick-up of 2.30pm from your hotel (which means you have plenty of time for lunch after the morning activities). There are currently ten zip line cables and they range in height from 40 meters to 100 meters and in length from 100 meters to 750 meters! No hanging bridges on this tour but you have the tram instead. 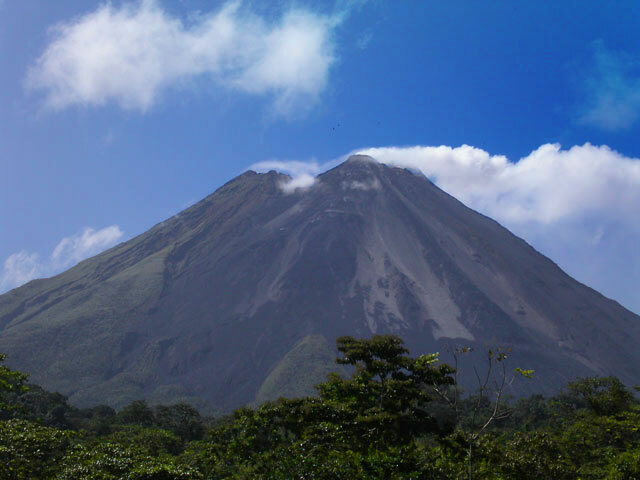 Hike along the northwest side of the volcano at Arenal National Park to follow old lava trails with an experienced nature guide who will take you on safe trails with the best possible views of the Volcano. The vegetation along the trail is relatively new and you will see many pioneer species of plants and trees. Several inches of ash below a thin top soil prevent the roots of many larger species of trees from taking hold. 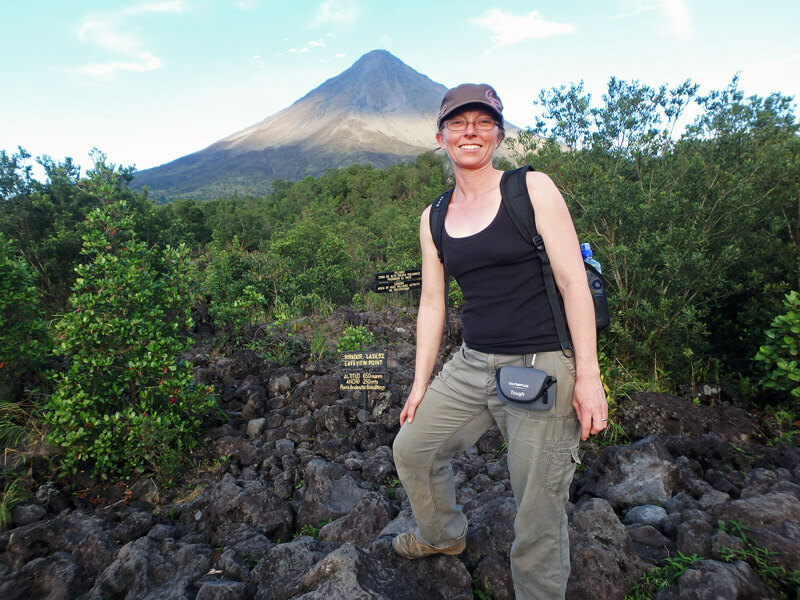 Note that even though lava has not been seen for several years, the Volcano is very much active and on a guided tour you will learn all about the Volcano's fascinating history. 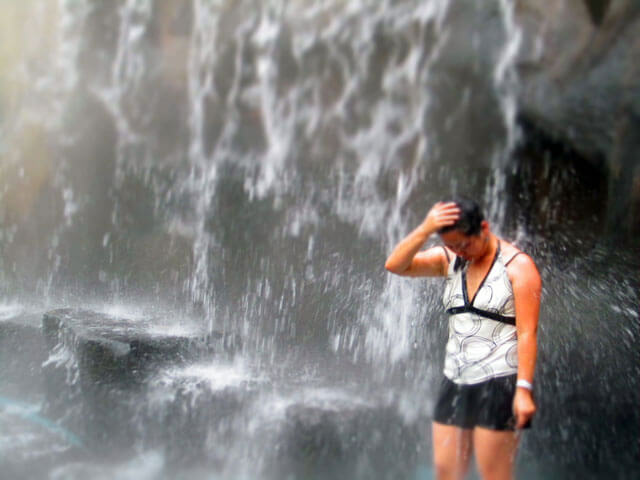 After the hike we will take you to Baldi Hot Springs where you can soak any aches away from the past few day's activities. Located near La Fortuna, this is a place where you can really relax and pamper yourself. 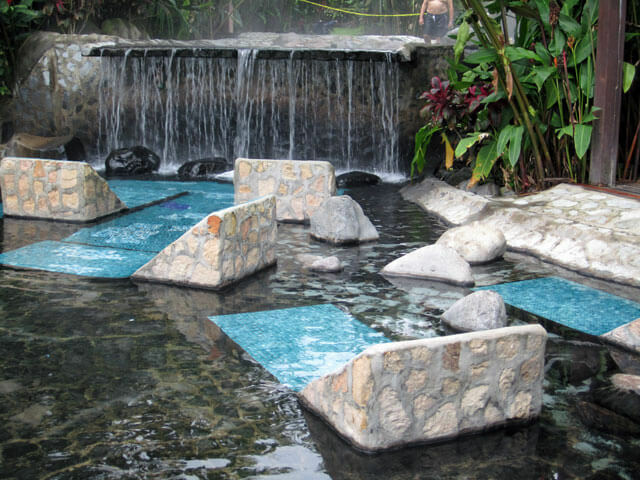 Baldi's has a series of pools and hot springs fed by Arenal Volcano which are set amid glorious tropical gardens so that you can relax in the water, while enjoying the surroundings. The pools vary in temperature, from the temperature of a swimming pool to the warmest at around 39C (102F). 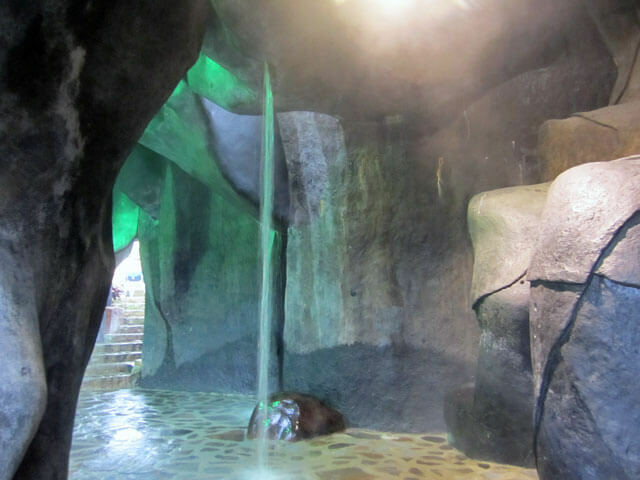 Ideally located in walking distance to restaurants, banks and stores, yet a short ride to the hot springs. Rooms are very comfortable with A/C, private bathrooms and cable television There is a swimming pool and a jacuzzi. The volcano is plainly visible from part of the hotel on a clear day. Safari Float. 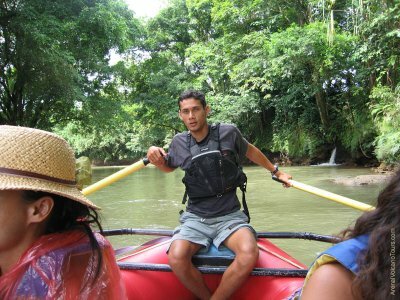 This is the ideal rainforest river float for those looking for a peaceful encounter with the plentiful wildlife that abounds along the Peñas Blancas river only 25 minutes from the Arenal Volcano. 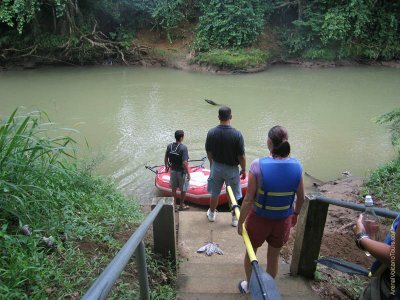 Our professional bilingual naturalist guide will assist you as you paddle along a smooth, class-1 river and explain about the various plants and animals of the area. 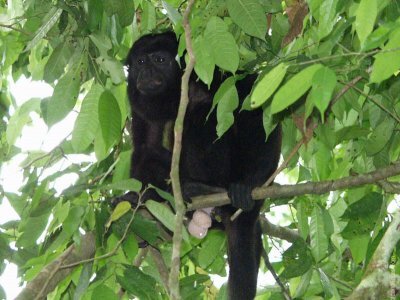 With a bit of luck you might spot monkeys, sloths, iguanas, crocodiles and caimans, plus a large variety of species of tropical birds such as the Sunbittern, keel-billed toucan, herons, kingfishers and our favorite the Montezuma Oropendula. Afternoon, Onward Transport. Shared shuttle transport back to San Jose or to one of the main beaches if available. We can also upgrade your private transport to private you can choose which time your leave. Located on the edge of the town La Fortuna, Hotel San Bosco is a good-sized hotel with about 34 rooms. Rooms are very comfortable with A/C, private bathrooms with plenty of hot water and cable television There is a swimming pool and a jacuzzi. The volcano is plainly visible from the hotel San Bosco on a clear day. Included on Trip: All accommodation except in San Jose, all transport, all tours in the itinerary and English speaking guides. Not Included: Flights to Costa Rica, hotels in San Jose*, meals, optional tours or transportation to other tours. What to Bring: T-shirts, shorts, long pants for riding, sweater or light jacket, sandals, light hiking boots, rain jacket, sun screen, insect repellant, any personal medication, swimming wear, towel, traveler's insurance, full passport and a credit card (VISA and MC other cards may be harder to use). * Note we can arrange hotels and transport in San Jose and other parts of Costa Rica. Please let us know if you need our help.